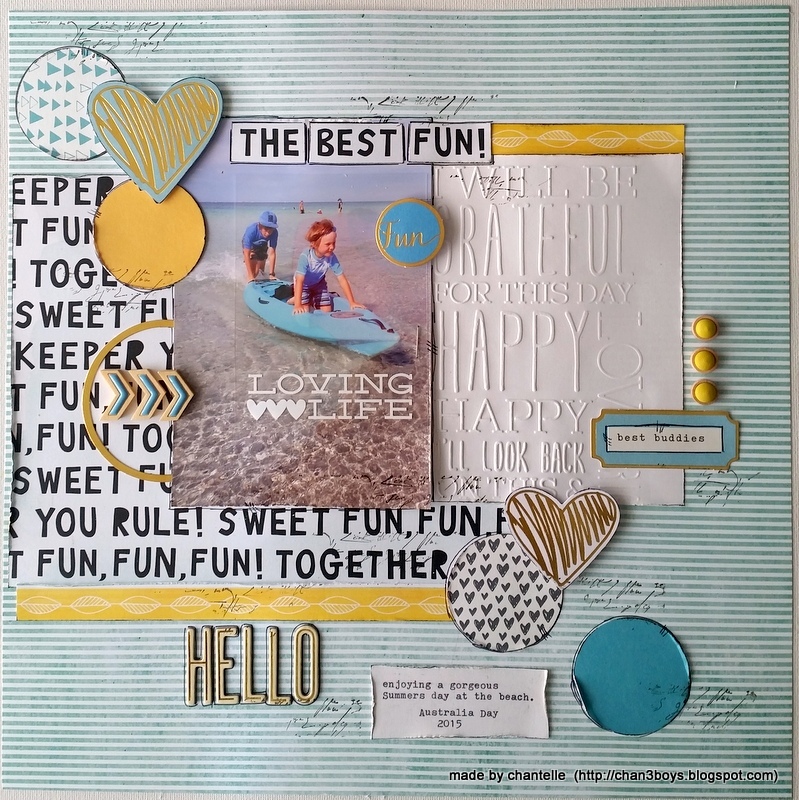 Hello there, Chantelle here, sharing my first page with the Playful Scrapbooking Kit - such a fun kit to play with. 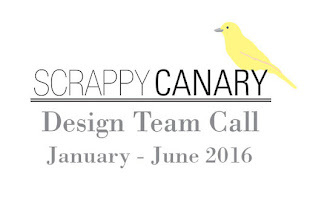 Although the kit looks quite pink, I've actually managed to make a page with a blue and yellow colour theme! 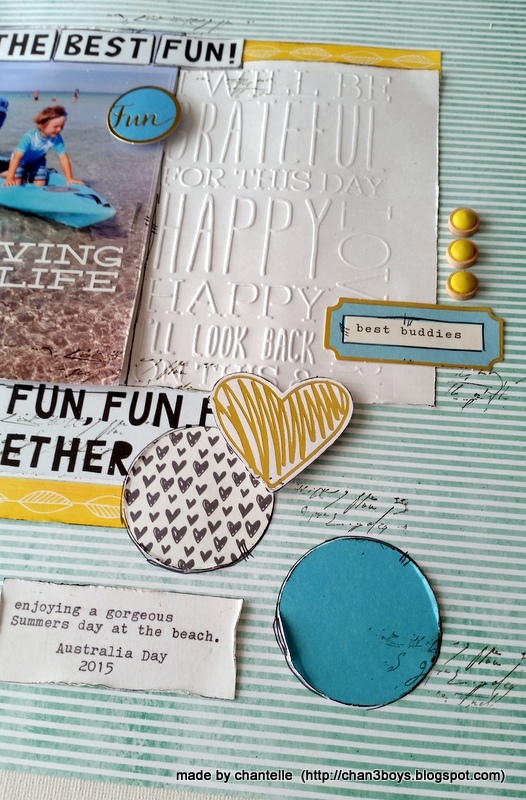 Each kit always caters for lots of different scrapping styles and themes. And you get to play with the latest products!! I used the 12x12 stripe paper as my background! 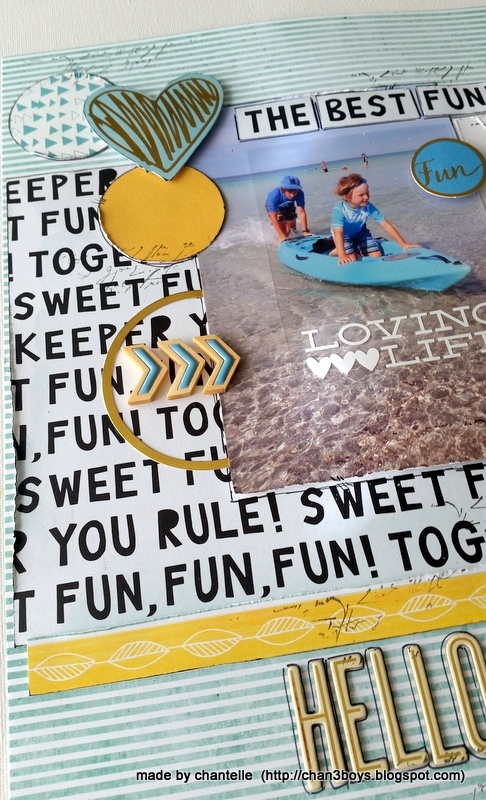 I really liked the Rise + Shine pattern paper with all the words, they suit my photo well. Everything here is from the kit - the embossed paper is white cardstock which I've run through my Big Shot with a Kaisercraft embossing folder. I've used a circle punch to create these circle shapes from the pattern paper - I've also added in some of the foil die-cuts by Pink Fresh. I cut out my title from the pattern paper.